When the topic of jewelry comes up, we often hear the terms “karat” and “carat.” We frequently use these to discuss the quality and value of jewelry pieces. However, it has come to our attention that many of our customers use these two terms interchangeably, although they refer to entirely different things. 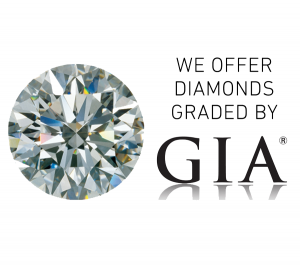 For that reason, we’ve decided to outline the differences between “karat” and “carat” in this blog post, and thus educate our customers and keep them informed. Being Atlanta’s highest-reviewed gold and diamond buyer, The Gold ATM makes it its top priority to educate its customers and make their jewelry buying and selling process easy and enjoyable. Simply put, we use karat to talk about gold, and we use carat when referring to the mass of diamonds and other gemstones. But let’s explain all of that in more detail. In order to describe gold, we use three specifications: the weight in troy ounces, the dimensions, and the gold fineness. Fineness, or purity, presents the ratio of the weight of the gold to the base metals, which can be expressed in numerous ways. A lot of gold buyers use karats to measure the purity of the gold. We measure the karat system on a scale of 24 — one karat meaning 1/24 of the product is pure gold. In order to determine the karats of a gold piece, we multiply the mass of the pure gold by 24 and divide that number by the total mass of the piece in question. So, a gold piece that is 18 parts gold and 6 parts base metals is what we call 18-karat. If a piece measures 24 karats, that is pure gold. When it comes to diamonds and other gemstones, we use the term “carat” to describe them. Today, one carat is equal to 200 milligrams. In the past, prior to the Fourth General Conference on Weights and Measures in 1907, different countries had their own standards for what one carat was equal to. After the famous conference in 1907, the current carat measure was put into place, and everybody started using the same system. So, when we want to describe a diamond or other gemstone, we will use carat. “Where to sell my gold jewelry?” and “Where to sell my diamond jewelry?” are the two most common questions people who have jewelry they never wear ask themselves. When you have valuable pieces, it can really make all the difference which seller you take them to. If you are from Atlanta or neighboring communities, you are in luck. The Gold ATM is the most prominent and trustworthy diamond and gold buyer in the area. We buy all sorts of fine diamond jewelry, gold jewelry, scrap gold, gold coins, high-end watches, and so on. We offer the best rates in the city, and we also provide free jewelry evaluations for all of our customers. Moreover, we operate in a 100% pressure-free environment, making sure that none of our customers feel pressured into selling. If you want to sell your jewelry, we are the right place to visit. For more information about our offices, working hours, and services, please visit our official website.